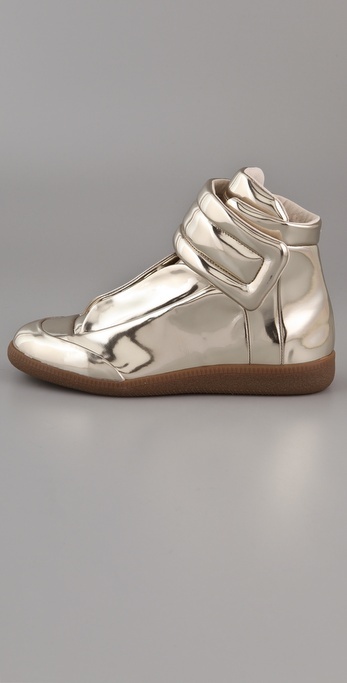 Today's So Shoe Me is the Metallic Flat Sneakers by Maison Martin Margiela, $680, available at Shopbop. I've never really been crazy about sneakers but one look at these futuristic liquid gold high tops are making me rethink my stance on the subject. 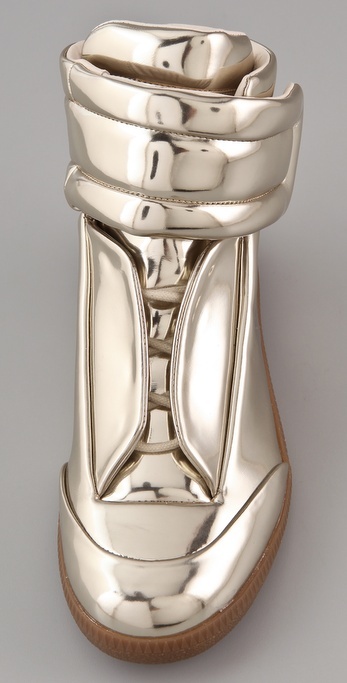 The super shiny faux leather upper adds a cyborg-esque finish to your everyday basics for a comfy yet signature style. A Velcro strap adds to the street wise design and easy on and off access. The rubber sole adds durability and comfort without distracting from the signature liquid gold upper. Pair these statement making sneakers with a pair of skinny jeans, a loose and modern featherweight tee and a throwback Chicago Bulls jacket for the ultimate game ready style. 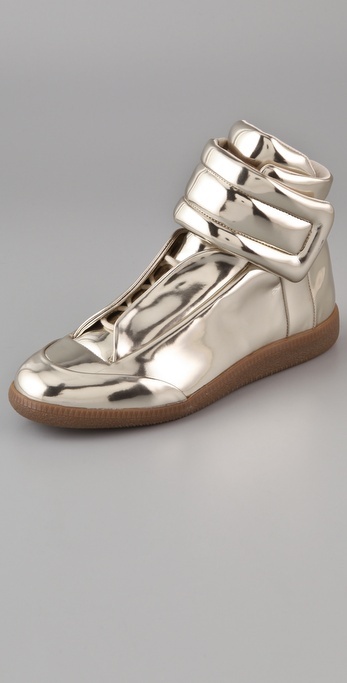 So Shoe Me a pair of liquid gold sneakers that add luxe street inspired style to casual and dressed up separates. Love them! I am sure they'll look really cool if combined with the right outfit..
Shop stylish sneakers Chicago at CITY SOLES! Visit us online or in Wicker Park for European designer boots and casual sneakers for men and women!